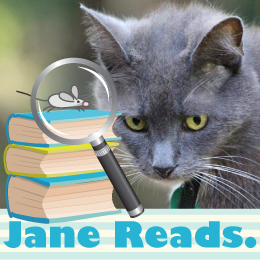 Gain new followers & make new friends, with the Book Blogger Feature & Follow! The Feature & Follow is hosted by TWO hosts, Parajunkee of Parajunkee.com and Alison of Alison Can Read, and each host has a Feature Blog. If you're a blogger, come join in on the fun! Click the links to sign up or to get more info. What blogger would you most like to meet in real life? Tell us about him or her. Kimba has provided me with much needed assistance, through her blog and in PMs, since I began my own blog in April. Kimba's blog includes a very helpful section titled "Blogger Tips and Tricks," which I refer to so often that I have it bookmarked. Kimba's great! We converse a lot through comments! She was one of my picks as well! Kimba sure has a great blog title. I'll be sure to check it out :) Following you back on bloglovin. Isn't it great? Thanks for hopping in! Thanks for the visit and the follows! Following you back!! Agreed! Thanks for the visit and the follows! 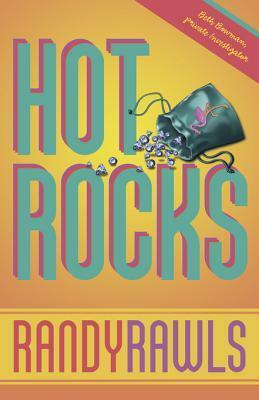 R is for Randy Rawls, author of Hot Rocks. Hot Rocks is the first book in the Beth Bowman P.I. mystery series, a new series filled with odd and quirky characters, that combine into a winning formula. Beth Bowman, South Florida PI, accepts a simple case: follow a husband and catch him with his girlfriend. BUT . . .
Is the wife a wife? Is the husband her husband? Beth finds herself framed for murder of the husband, and the wife has disappeared. Working the streets of Boca Raton in search of the wife, she recruits a homeless newspaper vendor. But again, THINGS ARE NOT AS THEY SEEM. Beth recruits a homeless newspaper vendor to help her solve the murder and clear her name. This vendor, in turn, rounds up a small army of street people to assist Beth. To learn how these unlikely heroes accomplish all this, and much more, you should read the book for yourself. You'll be glad you did.